Manchester United forward Danny Welbeck has his sights set on making the trip to Brazil with England for the FIFA World Cup next year, and he is keen on consistent performances under new Red Devils manager David Moyes in the 2013/14 season. However, the Three Lions have not yet qualified for the tournament, as they are currently in second place in Group H of qualifying, with four games still to go in September and October, against, Moldova, Ukraine, Montenegro, and Poland, respectively. “It is vital that we qualify for Brazil”, the 22-year-old told his club’s official site. The England international is aiming to take the position of the striker for England in next summer’s World Cup, and he is keen on taking his performance to the next level in the upcoming season for the Red Devils. “I want to make sure I stake a strong claim to be vying for a striker’s role at the World Cup and to do that I know I need to have a good Premier League season first. Welbeck made 40 appearances under Sir Alex Ferguson in the 2012/13 campaign, but scored just twice. He played as a winger for much of the campaign. However, he is looking forward to increasing his goal tally under Moyes, and is also keen on playing in other positions, if that helps the team. “It is an area I want to improve. If I need to help the team out by playing in other positions, I will do it. But I am aiming to get a better goal return from out on the wings anyway. “That would benefit the team. All the strikers know that once they get their chance they really have to take it”, he added. Arsenal ended 2012/13 securing fourth spot in the Premier League and as a result Champions League qualification. The relief on the faces of the manager and his players after the game reflected the tough season that Arsenal had been embroiled in - being typified by ecstasy and disappointment. If one thing is clear Arsenal have to dig deep in the transfer window this summer and make sure the season does not become characterised by failures and struggles. They only just made it past Tottenham into fourth spot and will be well aware that if they don’t strengthen they will be caught up. 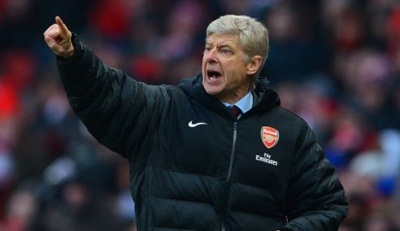 The biggest problem for Arsene Wenger is where to start? It can be argued that each position is vulnerable to injury and players who either do not possess great ability or at times lack consistency. The three positions that Arsenal need to address in the summer transfer window; a striker, a defensive midfielder and a goalkeeper. Arsenal are in dire need of a striker who scores a consistent amount of goals by converting the opportunities that the likes of Santi Carzola will supply. By selling a world-class striker in Robin Van Persie they did not replace the ingenuity of his creativity and ability to convert goalscoring chances. Olivier Giroud has at times had some good moments this season but he is hardly a world-class finisher and certainly not a striker which will fire Arsenal to the top of the league or to be able to challenge in Europe. Likewise Lukas Podolski has had some fine moments but he hasn’t shown great consistency in addition to him being better at playing as a wing forward than in the centre of the striking area. Theo Walcott, as well is at times great and at times very poor. It seems Arsenal need a striker who is actually a striker. Not a converted winger or support striker but an actual centre forward who relishes the opportunities that the likes of Walcott, Carzola and Podolski can supply him with. Looking at the Arsenal squad they are lucky in that they have midfielders in abundance. Abou Diaby, Mikel Arteta, Jack Wilshere, Aaron Ramsey and Santi Carzola all like to play through the middle. However, none of these players are purely defensive minded, apart from Diaby. Diaby was injured until Christmas and cannot be relied upon to be a permanent fixture in the season due to his injury prone nature. For much of last season Arteta excelled in the anchor role at Arsenal but it would suit him and the Arsenal team if Arteta, Wilshere and Ramsey have a license to go forward and execute their expertise as box-to-box players. If Arsenal can sign a defensive midfielder this summer then Arsenal will be a team that will be more solid and the other players will benefit greatly from this. Arsenal have three Goalkeepers Wojciech Szczęsny, Lukasz Fabianski and Vito Mannonne. Szczesny is seen as the first-team goalkeeper but Fabianski also gets his fair share of opportunities. Even Mannonne made appearances this season for Arsenal. It is quite rare for a big team in the Premier League to use three goalkeepers. Top teams need a consistent goalkeeper, one who has great ability but equally has a commanding presence and a fully developed relationship between himself and his defence. Swapping and changing the goalkeeper prevents this process from happening. David De Gea at Manchester United has been criticised but now he is looking strong and he has been given a first-team berth in the squad. Look at Chelsea, Petr Cech is a number one pick, likewise Pepe Reina at Liverpool and now Hugo Lloris at Tottenham. Arsenal need to buy an experienced goalkeeper to provide competition so that Wenger knows exactly who his best goalkeeper is and when he does find out he needs to keep that goalkeeper in the team. The best teams work from the back, start with the goalkeeper Wenger. If Arsenal can address these areas then they could possibly go from strength to strength and finally challenge for the Premier League trophy again. Liverpool have released a statement insisting that they will not be selling Luis Suarez, despite the forward revealing his intention to leave Anfield. The Uruguayan confirmed in a statement earlier this afternoon that he wishes to leave the club after another controversial campaign in the Premier League which has left the 26-year-old feeling "persecuted" by the British press. Talk of a £40m move to Real Madrid has been rife in the past two days after Real Madrid president Florentino Perez admitted the club would like to sign the forward. But Liverpool have hit back with a statement of their own dismissing an exit which also refutes Suarez's claim that he has consulted manager Brendan Rodgers about the situation. "Luis Suarez is not for sale - neither Luis or his representatives have communicated these feelings directly to LFC," the statement read. Liverpool's swift response comes after Suarez vented his discontent towards the manner in which he is perceived in English football on Friday afternoon. 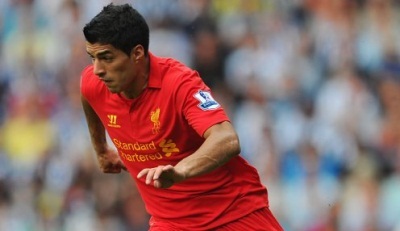 "My reasons for leaving is my family and my image, I don't feel comfortable here anymore," Suarez said. "It is a difficult moment for me, my coach and my colleagues know that they (the British media) didn't treat me well. The 26-year-old has attracted widespread condemnation for large portions of his Liverpool career, initially after being handed an eight game ban for racially abusing Manchester United's Patrice Evra in the 2011/12 season. Accusations of diving and foul play have further disheartened Suarez during his spell on Merseyside, with the fallout of last season's infamous incident where he bit Chelsea's Ivanovic seemingly too much for the south American to bear. 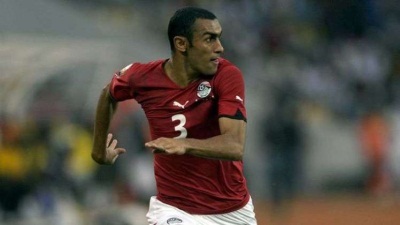 Ahmed Elmohamady has stated he wants to stay with newly-promoted Hull City. The Egyptian spent last season on loan at the KC Stadium from Sunderland, helping Steve Bruce's side to the Premier League, and now says he wants to move to the club permanently. It was Bruce who purchased Elmohamady while Sunderland manager but, with Paolo Di Canio now in charge on Wearside, the 25-year-old would rather continue his career with Hull. Elmohamady: "It's difficult as Paolo has come in and he has different rules, he's a different character, everything is different. "You are the player of the season, you get promoted with a club and you are happy. It's now important to start happy. I want to stay in Hull as the fans, manager and players have all been so fantastic." While the winger made no secret of his desire to remain with Bruce at the KC Stadium, he said there is still plenty of work to be done before it becomes reality. "Brucey is a fantastic manager, with a great personality," he continued. "He sat with me and told me if you want to stay in England, and stay a long time, you have to listen to the manager and concentrate on your football. "It's now all down to my agent, but I would love to keep playing with Brucey as the people of Hull are fantastic." 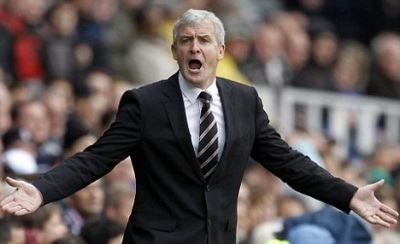 Stoke have confirmed Mark Hughes as their new manager and will formally unveil him today. Once Tony Pulis' seven-year stay with the club ended last week, Hughes quickly emerged as the clear favourite to be his successor and after days of talks has now been given the job. In choosing Hughes, Stoke have again gone for a Welsh manager, with Hughes having also coached the national side - his first post at the end of a successful playing career. His next job was at QPR, though, and he took over a side looking to stay in the Premier League at the first attempt. He managed to achieve that after replacing Neil Warnock in January 2012, but was sacked 11 months later after failing to move the side away from the bottom of the table despite healthy backing in the transfer market. Stoke will be hoping Hughes can carry on the work done by fellow countryman Pulis, who left the Britannia Stadium last week with the best wishes of the club after a successful spell. He guided them into the Premier League and stabilised them as a top-flight side for four successive seasons. But despite an FA Cup Final appearance some fans had grown tired of what they considered a dated style of football and a parting of ways occurred once the season had ended. Everton chairman Bill Kenwright on Wednesday confirmed that he intends to speak to outgoing Wigan Athletic coach Roberto Martinez about the managerial vacancy at Goodison Park. Wigan revealed on Tuesday they had accepted Martinez's request to leave the club and he was quickly installed as the favourite to succeed David Moyes, who is leaving Everton after 11 years to take over from Alex Ferguson as Manchester United manager. However, although Kenwright confirmed that he intends to meet Martinez, he said the 39-year-old was one of several candidates that Everton were considering for their managerial position. "I will meet Roberto in the next 48 hours. He is on the list, as I have always said," Kenwright told Sky Sports News. British media reports claim internal candidates David Weir, Phil Neville, Duncan Ferguson and Alan Stubbs have already been interviewed for the position, while Cardiff City manager Malky Mackay and Porto coach Vitor Pereira are also thought to be on Everton's shortlist. A former Wigan player, Martinez took charge at the DW Stadium in 2009 and after steering the club away from relegation in his first three seasons, he led them to a shock success over Manchester City in this season's FA Cup final. However, they were subsequently relegated from the Premier League, prompting the Spaniard to call time on his association with the club. Moyes was given a rousing send-off by Everton's fans after announcing his decision to leave, but Kenwright believes he has the backing of the supporters in his search for a successor to the 50-year-old Scot. "The most gratifying thing is 90 per cent have said, 'You didn't let us down last time, go with your gut instinct and hopefully you'll get it right again,'" he said. "All I can say is there is no way that I or anyone can say, 'We'll get it right, we'll get the right man,' but I certainly will put everything into getting it right and getting the right DNA for Everton Football Club." Ravel Morrison is at the top of Birmingham manager Lee Clarke's list of players he wants in next season's squad. The West Ham midfielder impressed during his season-long loan to St Andrews, and Clarke is keen on striking another deal for the 2013-14 campaign. Newcastle United's Shane Ferguson had a shorter spell with Birmingham towards the end of the season, but is another that Clarke is looking to have at his disposal again. "I have made it common knowledge that I would like to re-sign Ravel Morrison and Shane Ferguson," Clarke declared. "We have registered our interest in bringing those lads back so that's a possibility. "Ravel and Shane have both indicated to me that they would like to come back. "The thing with Ravel is that, for a manager, he has been a challenge, without a shadow of a doubt. "But it's a challenge I have relished and I have enjoyed trying to help him learn, not just about the football side, but off-the-field stuff, how you behave as a professional." With Birmingham looking to enhance their squad following a disappointing campaign, where they finished 12th in the Championship, Clarke has an idea of the number of players he needs. "I am hoping that maybe I can get two more in, possibly three," Clarke added. "And then what I need to do is reassess. Do I wait later on in the window on the loan deals from the Premier League? "What most of the big clubs do is take their young players away on pre-season tours with them and decide whether they are going to be part of the squad or whether they need another bit of loan time to help their development." Manchester United goalkeeper David De Gea insists he is happy at Old Trafford despite speculation linking the stopper with a move back to his native Spain. De Gea, who moved to United from Atletico Madrid in July 2011, suffered patchy form in his debut season with the club but has since improved to cement his position as first choice between the sticks. The 22-year-old enjoyed an impressive 2012/13 campaign for the champions, which saw him named as part of the Premier League team of the season. With Victor Valdes issuing a desire to leave Barcelona in the close season, the La Liga champions are keeping a close eye on the Madrid-born stopper as a potential replacement. However, De Gea maintains that he is happy in the North West of England and is looking to see out his contract with the Red Devils. 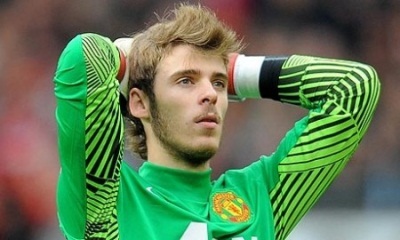 "I'm happy in Manchester," De Gea declared while on Under-21 duty for Spain. "It has been a very good season, and the longer it goes, the better I'm there. I have a contract and hope to be at United for many years." De Gea was quick to praise departing manager Sir Alex Ferguson and, despite the Scot's decision to retire, believes United can continue their success under new boss David Moyes. "We are saddened by the departure of Ferguson," De Gea said. "But in comes another great coach with a different style of play, so we will try to follow along the same lines and with the same tone. "It's a shame that he [Ferguson] went, he was great. But, now we have a new coach in David Moyes, who we still don't know. We're all waiting to get back there and see how it is with him." Arsenal captain Thomas Vermaelen has dismissed claims he could leave the club this summer despite renewed competition for his spot at the heart of the Gunners' defence. Vermaelen began the season as Arsene Wenger's first-choice centre-back but a combination of injuries and the partnership formed by Per Mertesacker and Laurent Koscielny saw the Belgian spend the end of the season on the bench. But with growing speculation about a move away from the Emirates, Vermaelen has insisted that he is ready to fight for his place again next season. "I'm happy at Arsenal. 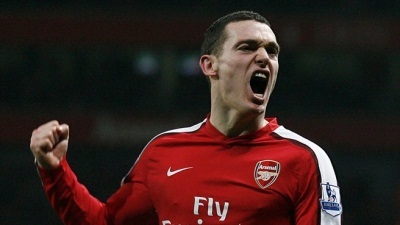 I didn't play much and that was frustrating, but things can turn around quickly," Vermaelen told Ad.nl. "I was on the bench, but I could just as quickly be playing again. I'm working hard to make that happen. "These are things that happen in professional football. Arsenal are a great club where there is a lot of competition." Unlike team sports, the outcome of the match depends only on the performance of two players. That means you have to be careful and consider few things before you bet your money on something what supposed to be a sure thing. Always check out the reputation of the tournament because not all the tournaments are the same. Most important tournaments are, of course, four Grand Slams (Australian Open, Roland Garros, Wimbledon and US Open). Next in line is ATP Masters 1000, a series of nine tournaments held annually throughout the year in Europe, North America and (as of 2009) Asia. Results in ATP Masters 1000 events earn players more world ranking points than regular tournaments, though not as much as Grand Slam events or the year-end ATP World Tour Finals. There are also smaller tournaments from 500 or 250 series that are not that prestigious and where players can earn less points and money. So, if such a tournament is followed by bigger and more prestigious tournament, it's possible that the player can lose in early phases on purpose just to have more time to prepare for the big event. Besides the reputation and quality of a player you're betting on always check his current form. World's top players can also have "black holes" during their season when they are playing below their usual level and it would be wise to avoid betting on them until they improve their performance and get back on track. Every player has a different style of play, which can bring great results on some surfaces, but maybe is not that efficient on others. Players with an aggressive style of play usually have better results on faster surfaces, while baseline players prefer clay courts and hard courts. Always check the head-to-head history of two players, because nominally better players can have problems with his opponent's style of play and it can inhibit him to play at his usual level and develop his game. If you're betting on 1st round matches, if it's possible try to avoid betting on winner of previously played tournament, especially if he had to travel a long distance and had no time to recover. It's important because of so called "jet lag" factor, which usually occurs 1 or 2 days after the travel and makes players tired and restless and unable to do things they normally do. Again, if we are talking about first or second round matches it could be wise to avoid betting against qualifier because during their qualifying matches they had a chance to feel the surface and get used to the atmosphere which can be an advantage over seeded players who didn't have the chance to feel the surface. If the player has won few consecutive tournaments it's pretty certain that he is tired and that his run had to leave a mark on his psyche as well as his mental fitness and that can prevent him to display his usual quality of tennis. Do you enjoy sports? Most men and women do. Across the world there are dozens of key sports with followers numbering into the millions, if not billions. And for the more adventurous sporting activities admirer there are hundreds, if not thousands, of market athletics value observing. One particular way to make your activity viewing far more adventurous is to location a bet on the outcome of the match. Sporting activities betting is one of the world's largest global gambling sectors and accounts for hundreds of billions of dollars in change above each and every calendar year. Some men and women take residence large winnings, other individuals gamble absent their daily life financial savings. Most bets, nonetheless, are with reasonable amounts of income and end result in both reasonable winnings or little loses. Why do individuals bet on sports activities? Usually it really is for the excitement. When you wager on a match it ties you individually to the result of the game. In a sense it tends to make you a part of the crew you are betting for. You are no more time a mere spectator due to the fact your nicely-being is directly tied to the final result of the match itself. People wager on pretty considerably each activity. From Olympic functions to the Super Bowl and almost everything in in between, if players or teams are competing there is a excellent chance that you can location a bet on the final result. Usually, the even bigger the occasion the far more funds that will be wager. Los Vegas by itself records almost a hundred million bucks in bets for the result of the Super Bowl per 12 months. And just picture how a lot income is trade between close friends and family members! Yet another well-known activity to guess on is horse racing. In fact, thoroughbred racing exists mainly to assistance betting and gambling, however it is also fun for the family and relaxed spectators. Betting on horse racing a single is thought to exceed one hundred twenty billion pounds per year, with the United States, Wonderful Britain, Australia, and Japan becoming amid the most common locations to spot a guess in the planet. Why do individuals take pleasure in horse racing? Speed, skill, the persona of the animals, the tales behind the jockeys, all of these specifics help make horse racing a special and interesting sport to look at and wager on. And, of training course, the likelihood to earn funds is a key driving element that receives a lot of men and women to put their money the place their mouth is, so to converse. Gambling can be hazardous but by using the right steps you can minimize the chance. When you place your wager make sure that you only gamble funds you can manage to drop. More, make positive you comprehend all of the principles and fantastic print of the bet just before you place your income down! These straightforward ideas will aid you enjoy your gambling expertise, win or lose! Club ready to send keeper out on loan to find first-team football if no permanent deal is done. 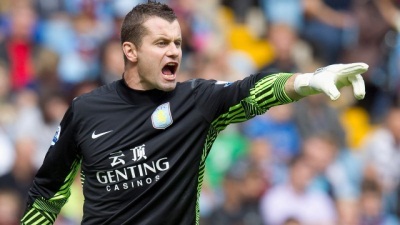 Shay Given is set to join the exodus of Villa ’s big earners this summer with the club ready to send him out on loan if a permanent deal fails to materialise. Given is rated by manager Paul Lambert , who would be prepared to keep the 37-year-old as an understudy to first-choice keeper Brad Guzan. But at a meeting last week Lambert and the player agreed it would be better if Given looked for first-team football elsewhere at this stage of his career. Given’s wages and length of contract could prove to be a stumbling block to a permanent move with the Irish stopper on a reported £60,000 per week for three more years. Therefore, a loan deal offering the former Manchester City favourite regular football and putting him in the shop window could be a viable alternative next season. Villa rejected a request from Steve Bruce to take him on a temporary basis to Hull last term and the newly-promoted Tigers could renew their interest this summer. “I had a meeting with manager Paul Lambert,” confirmed Given. Given started last season as Villa’s No.1 after arriving from the Etihad Stadium the previous summer, taking a paycut in return for the security of a five-year deal. But the £3.5 million signing was dropped after two Premier League games, losing his place to Guzan for the rest of the campaign, except for during cup matches. Despite his lack of opportunities, Given has retained a good working relationship with the manager, who has been pleased with the player’s attitude in training. However, Guzan, who was Villa’s double player-of-the-season award winner, has now established himself as the main goalkeeper after years of being an understudy at Villa. Meanwhile, Richard Dunne could make a long-awaited return to action with Ireland this weekend after training with the national team following his release from Villa. The experienced defender, who missed the whole of last season with a groin problem, was deemed surplus to requirements by Lambert after his four-year contract expired. Ireland manager Giovanni Trapattoni admits tomorrow’s Wembley friendly against England is too soon, but Dunne has an outside chance of making Sunday’s World Cup qualifer against Georgia in Dublin. “He would have to be 100 per cent fit,” said Trapattoni, who will treat Dunne with kid gloves to avoid risking his chances of finding a new club. “Don’t forget, this injury has been ten months, one year. It was a bad injury and then he had surgery. “Only if he was very okay, 100 per cent. But there are two or three questions: he is without a club; he is many months without a game; and it’s a qualifier. “But, for us, he will be again important in the future. “I spoke with him and I clarified his position, his position with the club and his position for us. We need Richard in the future. “But he has no club at this moment. I said ‘Richard, we will help you because you deserve respect, but you have no team at this moment and you must be careful because an injury could be for you very, very dangerous’. Ian Holloway praised his Crystal Palace heroes and Kevin Phillips in particular after the veteran striker fired the Eagles into the Barclays Premier League at Wembley. Phillips' extra-time penalty earned Palace a 1-0 win over Watford and promotion from the npower Championship in a game where £120million was at stake. 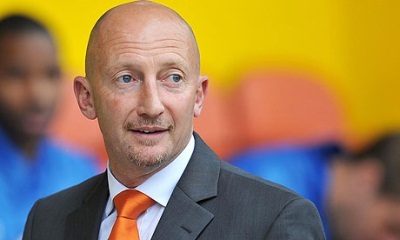 Now Holloway, who led Blackpool to the Premier League with victory in the 2010 play-off final, will seek to mastermind top-flight survival at Selhurst Park. Rather than be too concerned about the recruitment possibilities from the enhanced revenue, Holloway focused on his players. He said: "How much you spend on your group isn't always what gives you. It's what's inside their hearts and how much they work for you. I've been very fortunate that both teams that have done it for me, I was privileged to have worked with them. To me they're Palace heroes." With leading goalscorer Glen Murray injured, Phillips stepped up in his fourth play-off final to send Palace back to the top flight. The 39-year-old had suffered play-off final heartache for Sunderland, West Brom and Blackpool, but had Holloway's backing. "If I had to put everything I own on someone smacking it in the net, then I'd put it on Kev," Holloway said. Phillips is on loan from Blackpool, where his contract expires imminently, and Holloway would happily sign the striker once again. "I'll keep signing him until he's nearly 50 or 60, if he keeps putting the ball in the net," the Palace boss said. Phillips' decisive strike came in the 105th minute, with Holloway having already determined his penalty takers. The spot-kick was earned when £15m winger Wilfred Zaha bamboozled the Watford defence for the umpteenth time and was brought down by Marco Cassetti. Holloway is tempted to ask new Manchester United boss David Moyes if he can borrow Zaha next season. "I think he'd be silly to give me him back," Holloway said. "Now we're up it might be realistic, but who knows?" Gianfranco Zola plans to remain at Watford despite their near miss. Zola was magnanimous in defeat, conceding Palace were the better side on the day, but felt his team deserved a second-half penalty when a Palace defender blocked the ball inside the area. Zola said: "This game doesn't take anything away from our season. It's been a very good season. It's a very unfortunate thing we didn't play our best game. They played better and they deserved to win the game." Phil Jagielka wants to prove he is the answer to Roy Hodgson’s defensive headache as England prepare to embark on what the Everton centre-back describes as a “great new era”. With Rio Ferdinand confirming his international retirement, and John Terry seemingly out of the equation for good, Hodgson now has a pool of five defenders from which he must mould a centre-half pairing that is good enough to perform at the World Cup. Phil Jones and Chris Smalling have struggled with injury this season and Joleon Lescott has not played regularly at Manchester City, leaving Jagielka and Chelsea’s Gary Cahill as the front-runners for the two vacant spots. 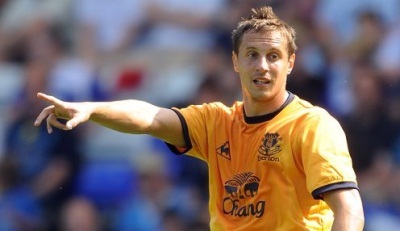 Jagielka is probably in pole position because he has had yet another excellent season at Everton. The 30-year-old has not played for his country since October due to injury, however, and given that Hodgson has rotated his squad so much - he has used six different defensive pairings in the last eight games - the Everton defender knows his ticket to Rio 2014 is far from assured. “We don’t really know what the starting XI will be so it’s all about putting down a marker this week,” said Jagielka ahead of England’s friendlies against Republic of Ireland and Brazil. “Obviously they can look at your club form before that, but this is the time to impress the manager and the coaching staff. “There are no points available, but I’m sure everyone will be trying to cement their place ahead of the games in August and September. “Previous players nailed down that position for three or four years so it will be interesting. “I’m sure Hodgson is looking at the mixture of defenders or partnerships that he might have. The four England players in Hodgson’s current party have just 60 caps between them, but Jagielka thinks every one of them is competent enough to form part of the team’s backbone at next year’s World Cup. He added: “That shows the strength in depth we have at centre-half. There is no chance of Watford ditching their commitment to attacking football if they get promoted to the Barclays Premier League, according to their longest-serving player, Lloyd Doyley. Watford and Crystal Palace will compete for what has been dubbed “the biggest financial prize in football” today – a place in the Premier League. Scepticism surrounded the Pozzo family when they took over Watford last summer, but the appointment of Gianfranco Zola as manager has eased those doubts and the Hertfordshire club are favourites for tomorrow’s £120 million showdown at Wembley. Zola wowed crowds with his silky skills during a glittering playing career and he has brought that mantra to Watford, where his team plays free-flowing attacking football in a 3-5-2 system. Wigan’s commitment to attacking football won them many friends during their time in the Premier League, but it was not enough to save them from the drop last season. Doyley, who has been at Watford for 12 years, insists that does not mean Zola will be scared to retain his attacking philosophy next year, should his team gain promotion, though. “I can’t see the boss doing that to be honest,” the Watford defender said. “He likes us playing attacking football, no matter what team we play. Doyley agrees that Swansea, who qualified for Europe this year after just two seasons in the top flight, have proved that playing attacking football can pay off. “They have had a few years of building the passing system and they are now one of the best teams out there,” the 30-year-old added. Watford narrowly missed out on automatic promotion when they lost to Leeds on the final day of the season and they needed a dramatic 96th minute winner by Troy Deeney to overcome Leicester in the second leg of their semi-final. To avoid being on the wrong end of an upset today they will have to keep Wilfried Zaha quiet. The Eagles forward, who is playing his last match before leaving for Manchester United, scored twice against Brighton to send Palace through to the final, but Doyley is confident of keeping the England international quiet. “We have (kept him quiet) twice already this year,” Doyley added. Palace manager Ian Holloway is relieved the build-up to the game has centred around the match itself without any sub-plots. Holloway was accused by some Palace fans of not understanding their rivalry with Brighton prior to the semi-final, which was marred by excrement being left in the Eagles’ dressing room ahead of the second leg at the Amex Stadium. The play-offs could also have thrown up meetings with Holloway’s former club Leicester or a Bolton team managed by his predecessor at Palace, former Scotland striker Dougie Freedman, who only missed out on a top-six spot on the final day of the season. “It’s not Leicester, who I failed with, it’s not Bolton with the previous manager and it’s not Brighton, who our fans couldn’t stand it if we lost to them,” said Holloway. 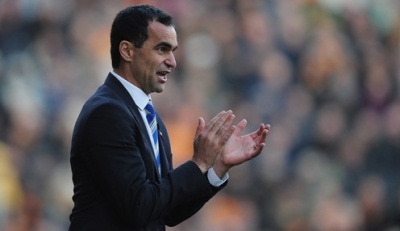 Wigan will make an announcement regards the future of Roberto Martinez on Tuesday as Stoke and Everton watch developments. The Latics boss is currently in Spain weighing up his future following relegation to the Championship but chairman Dave Whelan says he is due back tomorrow and a decision will be announced following a meeting between the two of them. Martinez has already had one round of talks with Whelan when he asked for assurances over which way the club is moving and the Latics chief says he will do all he can to convince him to stay. "I am due to meet Roberto for lunch on Tuesday and we'll announce what is happening after that," the Latics chairman revealed. "I can't offer him Premier League football but we are still a club in a strong position to go for promotion next season. "I'll tell him we can keep any player he wants to." Martinez is still thought to be Everton's number one choice to replace David Moyes, while he is also on Stoke's wanted list despite reports claiming that Mark Hughes tops the Potters wanted list. Robben was cast in the role of villain 12 months ago when he missed the extra-time spot-kick that cost his side victory on home soil against Chelsea. With a disappointing Euro 2012 campaign to follow and then an early season injury, it seemed the Dutchman's influence was fading. But Robben has slowly returned to form, contributing two of Bayern's seven goals in their semi-final mauling of Barcelona and being an integral figure in their pursuit of the Treble. And ahead of tonight's all-German showdown with Borussia Dortmund at Wembley, Heynckes said: "It is not a surprise. "Arjen was very motivated after the European Championships last summer. But he got injured and lost time. "He is still driven by ambition. He has a professional approach and is in good form. "He is a very important player in my system because he has learned to take on defensive roles. That makes him a lot stronger than he has been in the past." The 68-year-old accepts his team are something special. "Overall, our season has been the best in the Bundesliga from any team in 50 years. Although Bayern have not beaten Borussia Dortmund in six meetings since February 2010, they start overwhelming favourites given the manner in which they have transferred their imperious domestic form on to the European stage. Thomas Muller acknowledges the side Bayern wrested the Bundesliga title from have plenty of quality, despite the absence of Bayern-bound Mario Gotze. However, he is adamant his side are the stronger. "Borussia are a complete team," Muller said. "That is harder to deal with than a group of individual players, even though their individuals are also very good. "But I don't have believe we have any weaknesses. We have played a lot of games, scored a great deal of goals and not conceded many. "I have a really good feeling about Saturday." Manchester City defender Joleon Lescott expects the squad to quickly put the disruption of Roberto Mancini's sacking behind them this summer. The club's decision to part company with their Italian manager cast a shadow over the final week of their season. A below-par City lost to Norwich in their final competitive game last Sunday and caretaker boss Brian Kidd admitted the players, now on a post-season tour of the United States, were drained by developments. City's campaign finally reaches its conclusion as they take on Chelsea in a friendly in New York's Yankees Stadium tonight. Lescott said: "It's been difficult for everyone but it is important as a player you understand that no matter what happens you need to keep striving to improve every game. We'll continue to do that. "The decision has been made by the club and we have to respect that as players. "We play for Man City. 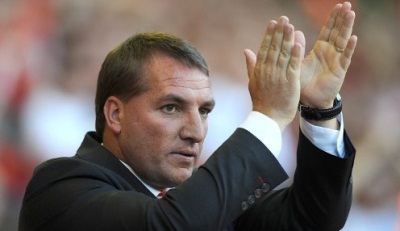 They have seen fit to part ways with Roberto and we have just got to get ourselves right for the new manager." Manuel Pellegrini, who is to leave Malaga at the end of the Spanish season on June 1, is widely expected to take over. The Chilean has taken both Malaga and Villarreal to the latter stages of the Champions League and he is also known as a good man-manager. There have been reports of disharmony within the City camp during Mancini's tenure. 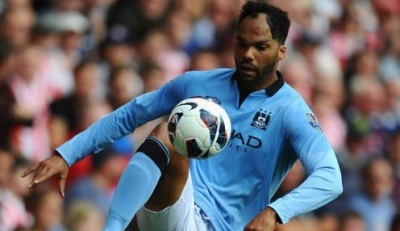 "It's best not to go into that," said Lescott when asked about the rumours while in the US this week. Lescott's season still has a little way to run having been named in the England squad for upcoming friendlies against the Republic of Ireland and Brazil. But the intensity has notably dropped this week as the players have undertaken a number of promotional activities on behalf of the club in New York. They then played out an entertaining first friendly against Chelsea in St Louis, with City emerging 4-3 winners after falling 3-0 behind. "It was not a competitive game in that sense, but it was entertaining, which is what the fans want to see," said Lescott, who himself was rested. "It was good. It was a friendly atmosphere and I am sure we kept them entertained. "You've got to finish the job off. That is what we are trying to do. We are representing Man City at the end of the day. "There hasn't been much training going on. It's been a commercial trip. "We've got one more game to go but it's been a productive week." City's main off-field news this week has seen them launch a Major League Soccer franchise. Chief executive Ferran Soriano also met with media and while he did not confirm Pellegrini would be the next manager, he said "the boxes are right" concerning the 59-year-old. The Champions League returns to Wembley on Saturday 25th May as last year’s beaten finalists Bayern Munich take on 1997 winners Borussia Dortmund in the final - and we’ve got a fantastic free bet offer to add to the excitement. 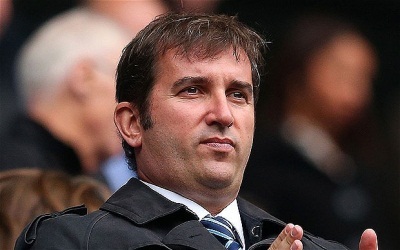 Chief executive Ferran Soriano wants Manchester City to win five trophies in the next five years. Soriano is overseeing the search for a new manager after the club sacked Roberto Mancini, who was at the Etihad Stadium for three-and-a-half years. "I would say I want to win five trophies in the next five years," said Soriano. "That may mean we win no trophies one year and two in another, but on average I want one trophy or title a year." He added: "That is the Champions League, the Premier League or the FA Cup." Soriano, who was appointed in August 2012 to replace Garry Cook, also warned there would be no effort to replicate the longevity enjoyed by Sir Alex Ferguson at Manchester United, citing five years as the optimum length of time for a managerial reign. "In football, teams have cycles and you can have managers who go through several cycles and managers who go through one cycle," said Soriano. "Obviously, we want the next manager to stay for a number of years, but I think it would not be wise to speculate on the next manager being there for 26 years. "This is an exception and I think three, four, five years is one cycle." There is fresh focus upon City's ambitions after they dismissed Mancini a year to the day since winning the Premier League, citing the failure to hit "stated targets" and the need to "develop a holistic approach to all aspects of football at the club". Mancini ended the club's 35-year wait for a trophy with victory in the FA Cup final in May 2011 and then won the league in May 2012. But the Italian failed to replicate that success this season, finishing 11 points behind Manchester United in second and losing the FA Cup final to Wigan. Soriano insists that the new manager will not have to win a trophy in his first season. "I think that next season is going to be much better, I am convinced about that," said Soriano. Manuel Pellegrini is thought to be in line for the job, with the 59-year-old confirming he is to leave Malaga this summer. Manchester City caretaker boss Brian Kidd praised the spirit in the squad after the 4-3 friendly victory over Chelsea. Kidd took charge of City following Roberto Mancini's dismissal earlier this month, and watched the team come from three goals down to grab a last-gasp winner in St Louis. City trailed to goals from Demba Ba, Cesar Azpilicueta and Oscar despite dominating the first half but Javi Garcia began the fightback before Edin Dzeko's double and a Micah Richards clincher. Kidd said: "I thought we were unlucky to go in 2-0 down but the players were tremendous. "They have had a tough couple of weeks after losing the manager and the FA Cup final. It has been a draining, emotional couple of weeks. "They have done great work in New York with the appearances and events for the club, they have done great work. "We only had one training session, so that might be the secret. You can't say enough about them." Plasati un pariu inaintea evenimentului pe partida Borussia Dortmund v Bayern Munchen si va vom oferi un Pariu Live gratuit pana la aceeasi miza in timpul marelui meci. Liga Campionilor revine pe Wembley sambata, 25 mai, si Bayern Munchen, finalista invinsa anul trecut, infrunta in finala Borussia Dortmund, castigatoarea titlului in 1997, iar noi va oferim un pariu gratuit fantastic, pentru a creste si mai mult suspansul. Pentru a va califica pentru Pariul Live gratuit, plasati un pariu simplu inainte de start, apoi, dupa inceperea meciului, plasati inca un pariu simplu pe oricare din tipurile de Pariuri Live disponibile. Pariul Live gratuit trebuie sa fie platit si plasat in mod normal si daca PRIMUL dumneavoastra Pariu Live este necastigator, va vom rambursa aceasta miza, pana la valoarea celui mai mare pariu plasat inaintea evenimentului (max 10€). HE has labelled members of his squad ignorant and arrogant this week, but Paolo Di Canio insists there are players at Sunderland with the right attitude and has urged everyone to follow the example set by stand-in captain John O'Shea. 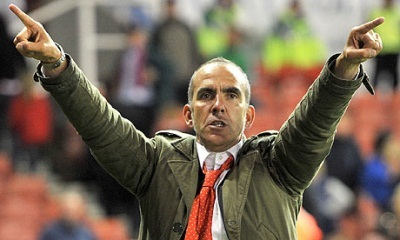 After almost two months in charge on Wearside, Di Canio has identified a number of reasons why the club was involved in a relegation battle right up until the final weekend of the season, and has specifically highlighted a lack of discipline among his squad as a major problem. Images of defenders Matthew Kilgallon and Phil Bardsley in a casino emerged over the weekend - the latter seen lying on the floor covered in £50 notes - with the pair subsequently banished from Di Canio's squad for the final-day defeat to Tottenham on Sunday. The new manager has also dished out several fines in the last couple of weeks with seven players punished for a variety of offences, which include failing to show up for a signing session at the club's training complex. Such actions have been criticised by the Professional Footballers' Association, but the Black Cats boss is determined to rid the dressing room of such behaviour as he begins his overhaul of the squad he inherited from Martin O'Neill. Di Canio's admissions about the indiscipline amongst his players is a damming indictment of his predecessors' regimes and it is likely a number of those players inherited will be moved on this summer if they fail to change their attitudes. The Italian will not stop short in his quest to transform the mentality and level of professionalism at the club and he will hope some of his more senior players can help get everybody else on board. The Sunderland boss has already singled out Jack Colback as one of the better performers since his arrival, while he has also praised stand-in skipper O'Shea. The Republic of Ireland international was brought up in the strict and successful surroundings of Sir Alex Ferguson at Manchester United and Di Canio believes his experiences at Old Trafford mean the defender acknowledges the need for discipline and professionalism. "I didn't have any doubt about him," The Black Cats boss said. "In a natural way in the morning he's first out for the warm-up and he's always top of the group, always trying to encourage others, which is important, always on his toes. "Sometimes when I talk about tactical situations I see the young players just shut their mouths and look to the sky. John O'Shea always listens. "You can be the best manager you can but if you have one or two players - I don't say 11 - that deliver the same message it's crucial because the others are maybe going to forget. He's positive and intelligent. "It's easy for a few of them (Sunderland players, to be as professional as Di Canio would like), but for the others it is still difficult. It is very heavy for some of them. "For me it is normal, for John O'Shea it is normal because he comes from an environment where the people used to throw boots in people's face and the player would say, 'Thanks, the best manager in the world, thanks Sir Alex (Ferguson),' if they did something wrong." And it's not just off the pitch that O'Shea leads by example. Di Canio also praised the 32-year-old and central defensive partner Carlos Cuellar for their performances. "Forget the goal (against Stoke), which was really important for us it's obvious, my defenders have to defend well. For 75 minutes they did an amazing job. Him (O'Shea) and Carlos (Cuellar) were one of the main parts in that." Meanwhile, FC Augsburg's hopes of signing striker Ji Dong-Won on a permanent basis have received a blow. The Budesliga side, who avoided relegation from the top flight with the help of Ji's five goals, will have to pay £2.5m to secure the South Korean's signature. A clause was inserted into the loan deal to make it permanent when Ji first joined Augsburg, but the cash-strapped club will have to shell out more than they envisaged to land the 21-year-old. Real Madrid defender Sergio Ramos believes Gareth Bale would be right at home at the Bernabeu. There has been considerable speculation about the future of the Wales international after Tottenham failed to qualify for the Champions League, with Madrid the most likely destination. "Gareth Bale is a Real Madrid-quality signing," Ramos told The Sun. "He has had an exceptional season. He can punish any team in the world and has the footballing qualities we look for in Madrid. "I am sure Madrid will not be the only team that want to sign him - but he is the right mould for us." Bale rounded off a remarkable year on Sunday by scoring his 26th goal of the season, but his wonder winner against Sunderland was not enough to earn the club Champions League qualification. 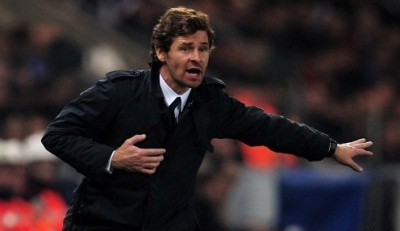 The club are understandably keen to hold on to their star man and manager Andre Villas-Boas recently called on the forward to end speculation about his future by signing a new deal at White Hart Lane. For now, the signs look promising for Tottenham fans. From his comments in the immediate aftermath of the victory over Sunderland, he seemed in no mood to abandon ship and head to Madrid. "We fought hard this season, the team and the manager have been great," he said. "We have got the record points for the club in the Premier League. Liverpool manager Brendan Rodgers is keen to get his transfer business done and will hope selling striker Andy Carroll to West Ham will help kick-start his squad strengthening. A £15million plus add-ons deal to make the England international’s loan move to the Hammers permanent has been agreed for some time but it hinges on the player accepting his future lies away from Anfield. Rodgers told Carroll at the start of the season his playing time would be limited, hence the loan spell at Upton Park, and his stance has not changed in the interim. The Reds boss needs to raise funds to add to the £25million owners Fenway Sports Group are likely to provide as a transfer kitty, although the club would be taking a £20million hit on a player they bought in January 2011. Major considerations for Carroll, who last night withdrew from the England squad with a foot injury, will be the implications of a pay cut at Upton Park offset by the opportunity to play regularly in the year leading up to a World Cup. “I have enjoyed every minute of being here,” Carroll told whufc.com. “I have worked hard to get myself back in the England squad, trying to play my best for West Ham, so I am really pleased about that. “I have had a great season here at West Ham, really enjoyed being part of a great set of lads in the team, with the staff around us and the fans. Another exit Liverpool may have to prepare for is that of goalkeeper Jose Reina and they have made contingency plans but Stoke’s Asmir Begovic is not top of their replacements list. The future of Spain international Reina has been the subject of debate for several months and it is understood his representatives have been in dialogue with Barcelona. Although there has yet to be any contact made between the two clubs Liverpool have identified a number of goalkeeping alternatives. However, despite reports in Bosnia claiming a deal has already been agreed for Begovic to move to Anfield should Reina leave, Press Association Sport understands that is not the case. Liverpool are considering the 25-year-old - who would command a significant fee from the Potters - as a viable option but he is not top of manager Brendan Rodgers’ shortlist of candidates. Any sale of Reina would generate upwards of £10million and would get a significant earner off the wage bill but the club are in no rush to do a deal. The goalkeeper himself insists he is happy at Anfield despite continued speculation about his likely departure this summer. “I have three more years with Liverpool. I’m satisfied, comfortable and my family are very happy,” said the 30-year-old, who progressed through the youth ranks at Barcelona - for whom his father Miguel also played - before moving to Villarreal prior to joining Liverpool. Rodgers is also looking to fill the hole left by the retiring Jamie Carragher by possibly bringing in Manchester City’s out-of-contract centre-back Kolo Toure as a short-term solution. However, there are other options to pursue in central defence and a deal for the 32-year-old is far from done. 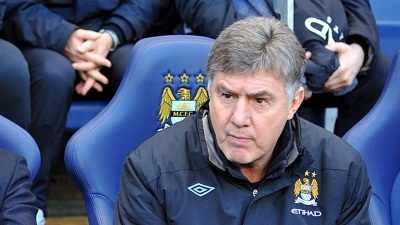 Manchester City defender Gael Clichy admits that the sacking of Roberto Mancini came as a "bit of a shock" to him. Clichy was signed from Arsenal by the Italian manager, and won his second league title in his first season in Manchester. The Frenchman believes that many of the fans wanted to give Mancini another season at the club, and feels that his sacking is "difficult to understand." "For me it's always difficult as obviously he brought me to the club," Clichy said. "It's the first time a manager has been axed since I've been at a club, so it's a bit of a shock and if you look at his record it's difficult to understand. He's won trophies, the title after 44 years. He won the team the first title. "Many people, particularly the fans, would have wanted to give him another go. But that's the way it is, we are only football players. "There are people at the top, above us, above the manager is the chairman. He made the decision to call a stop to it - you have to accept this. We lost a top manager who will stay in the hearts of fans for many years - but now we want a boss who will do well." The Champions League returns to Wembley on Saturday 25th May as last year’s beaten finalists Bayern Munich take on 1997 winners Borussia Dortmund in the final – and we’ve got a fantastic free bet offer to add to the excitement. It's hard to say considering both teams have several players who have the ability to change a game with one moment of magic. This fixture will definitely be one to remember. Not only are these two teams battling to decide who is the best in Europe, but to decide who is the best in Germany. Winning the Bundesliga has been a walk in the park for Bayern Munich this season. They lead all opposition by an astonishing 20 points. Dortmund have had a solid campaign in the league but not nearly as impressive as Bayern. Bayern have not only excelled in the league, but their results in the Champions League have also been extraordinary. Bayern Munich knocked out former Champions League favourites Barcelona, wiping the floor with them in the process. Following a 4-0 thrashing, some believed it was possible for the Spanish giants to make a magnificent comeback at the Camp Nou in order to reach the final. Instead, Bayern performed just as majestically as they did in the first leg and beat them 3-0. Overall, the aggregate score was 7-0 to Bayern Munich. This sort of result is rare for an incredible Barcelona team, but Bayern went the extra mile. They are desperate to win what they came so close to winning last year. The delicate and exquisite footwork and pace of Arjen Robben annihilated Barcelona. I'm sure he will be hoping to do the same to Dortmund too. Bayern definitely have the potential to be crowned Europe's top team. They had the potential last year but failed to do what was needed. Will they use last year's heartache to spur them on this year? Borussia Dortmund are a superb side built off of youthful prodigies and breathtaking teamwork. Although they have not performed as well in the Bundesliga, they have been terrific in all stages of the Champions League. Like Bayern, Dortmund managed to eliminate a very difficult semi-final opponent in style. Cristiano Ronaldo and Real Madrid fought back at the Bernabeu, but could not complete the comeback needed to outclass the 4-1 victory Lewandowski provided on German soil. Up until the second leg of the semi-final, Borussia Dortmund were undefeated. Using their young and ambitious stars, they managed to pull off exceptional performances in every stage of the competition. Marcos Reus, Mari Gotze and Lewandowski are the most well-known of the Dortmund squad, but every player has played their part in what has been a remarkable campaign. Bayern Munich are going to have to been on top form to defeat this determined side. The last time the two played, the result was 1-1. Borussia Dortmund have only reached the final once before, and they won. Will they go two for two? As Lionel Messi and Ronaldo stay at home to watch the final, the two best teams in Germany will fight relentlessly until the final whistle. Both teams could pull off that magical Champions League performance in order to win it all. 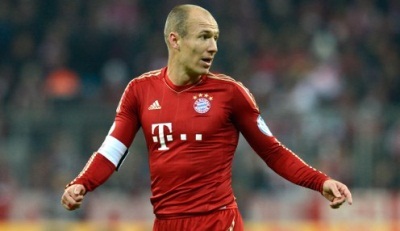 Will it be Robben and Bayern Munich or Lewandowski and Borussia Dortmund? May 25 is going to be a historical and memorable date - and what a day for German football. 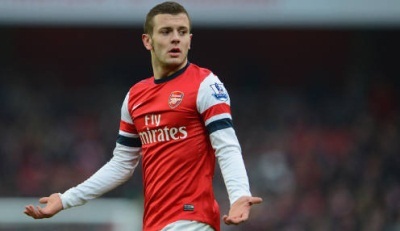 Arsenal midfielder Jack Wilshere has revealed his long-term ambition is to captain both his club and country. But he said: "I want to captain Arsenal and I want to captain England. That definitely appeals to me. It's my ultimate dream. People say players are no longer bothered about wearing the England shirt. "But for me it's the pinnacle of my job because club rivalries go out of the window and the entire nation comes together behind you - it's the best feeling." Wilshere, who had screws inserted in his ankle back in 2011 to aid his recovery from a stress fracture, expects to be fit to play in England's friendly against Scotland at Wembley on August 14. Phil Neville insists he is yet to make a decision on his future, but David Moyes has backed him to become a successful coach. Captain Phil has had eight years under Moyesy's tuition but has yet to make it clear where he'll be next season. Could he be our next boss? Neville will join Stuart Pearce's coaching staff for the Under-21's European Champions this summer having previously spent time with Pearce's squad ahead of a qualifier against Belgium. Moyesy believes coaching is the next step for him. Moyes said: "I think he'll probably go into coaching or management, that would be my tip. He could stay on at Everton. He's a great man and has a lot of good values. I can see him being successful in the future." "There have been a lot of things I've hopefully improved. I'm really pleased with how the football club has moved forward on the field hopefully it continues to do so,"
Captain Phil said: "I have not made a decision yet, I have not officially retired yet. "Over the next couple of weeks that is the main decision I have to make; whether my body is up to the physical demands of Premier League football." Captain Phil for our next manager? What do you think? 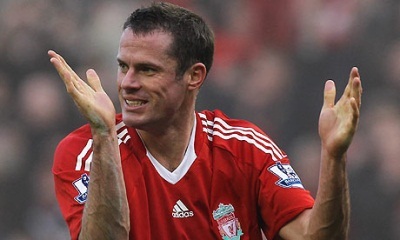 After 17 memorable years, defender Jamie Carragher played his final game for Liverpool FC on Sunday and signed off with a 1-0 victory against Queens Park Rangers FC at Anfield. The 35-year-old, who announced his retirement plans in February, has played more than 700 games for the Merseyside club, winning the 2000/01 UEFA Cup and the 2004/05 UEFA Champions League as well as two FA Cups. He also accumulated 38 England caps and is second only to Ian Callaghan in terms of all-time Liverpool appearances. "I've had lots of great times and memories that I'll never forget – especially those of the supporters dragging us over the line during those special nights at Anfield and in Istanbul," said Carragher, who came within a post's width of marking a poignant day with a novelty goal. "I think I would have walked straight off [the pitch] if that went in; I would have had to," he joked, having found the net just three times in 508 Premier League outings. "I'm just getting the hang of shooting in my final game. It's come a bit late! I can't believe it didn't go in. I was fortunate enough to score on my debut and it would have been nice to finish that way, but it wasn't to be." Captain on a day when a Coutinho goal ultimately settled matters, Carragher will be remembered for his steely determination and unwavering commitment that permeated through to his team-mates. Naturally, he remained a consummate professional until an outpouring of emotion greeted his substitution and final moments in a Liverpool shirt four minutes from time. "It's important to remember this was a game we wanted to win and that's what we did in the end," he added. "It was nice to get my children involved, but we wanted to make sure we won the game. I had to try and stay as focused as possible because there would have been nothing worse than a defeat today or a poor performance. It was nice to keep a clean sheet and win the game." "He's an incredible player," commented manager Brendan Rodgers after guiding the Reds to a seventh-place finish in his first season in charge. "That's my biggest regret – I wanted to work longer with him. Jamie's been absolutely first class and a colossal player for this club. It's with great sadness we have to move on. There's not many around of his type with that quality." David Moyes will today begin work as Alex Ferguson's successor at Manchester United after bidding farewell to Everton with defeat at Chelsea. Moyes' 518th game of his 11-year reign ended in a 2-1 loss at Stamford Bridge and he will juggle his handover at Goodison Park with his new role at Old Trafford this week before going on holiday. "I'll probably be doing two jobs for the next week or so," said former Preston boss Moyes. 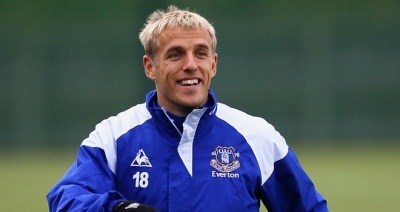 "I'm sad that I'm leaving Everton. Look at the players. I brought every one of them, except Tony Hibbert and Leon Osman, who were already here. "I hope every one of them will think it was worthwhile joining Everton. Moyes will assist chairman Bill Kenwright if asked about his replacement, with his handover notes already prepared. 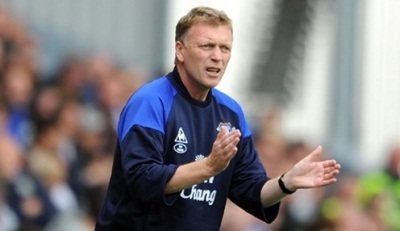 "I'll go into Finch Farm [Everton's training ground] some of the days next week and make sure everything's in place for whoever the incoming manager is," Moyes added. "Most of it is anyway, but I'll just make sure that everything's as ready as I can leave it." West Ham manager Sam Allardyce would love to build his team around Andy Carroll next season - and maintains signing the England forward on a permanent deal from Liverpool must be the club's "main priority" over the summer. The 24-year-old played the final match of his season-long loan in yesterday's 4-2 win over relegated Reading at Upton Park, where captain Kevin Nolan netted a hat-trick. Carroll was a thorn in Reading's side all afternoon, despite not being able to add to his seven goals to mark his recall to the England squad for the friendlies against the Republic of Ireland and Brazil. The striker posted a message on Twitter last night saying how much he had "enjoyed every minute of being at West Ham". However, with Liverpool set to hold out for a £17million fee for their 6ft 3in frontman, and Newcastle and Monaco also said to be monitoring the situation, the Irons look in for some tough dealings. Allardyce, though, believes having Carroll on board next season would provide the perfect platform on which to build from their creditable 10th place after avoiding joining Reading back in the npower Championship. "If we can start with Andy Carroll that would be a great achievement for us as he can only get better and better," Allardyce said. "Then we build around that in terms of how we want to improve next year, with better quality. "It is our target to make it a permanent situation. "Hopefully we can get somewhere in the near future to do that. "It's our main priority. There are negotiations between the club and Liverpool. "We have to pursue it to the very end one way or another and we will find out as quick as we can if it is a yes or a no." Thanks largely in part to Carroll's tiresome work, the Irons had looked in complete control against Reading after a mistake from goalkeeper Alex McCarthy, called up to the England squad for the first time, gifted Nolan the opener on 23 minutes, with Ricardo Vaz Te sweeping home a second. The Royals, though, responded with two quick goals at the start of the second half through Garath McCleary and substitute Adam Le Fondre. West Ham eventually made sure of a creditable top-10 finish when Nolan netted again and then completed his hat-trick with a header three minutes from time. Allardyce paid tribute to Nolan, who ended the campaign as the club's top scorer. "Kevin has always been top class. 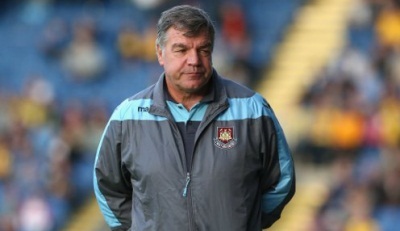 It's another double-figures scoring job he's done yet again," said Allardyce. "When we needed Kevin again he was there. That's what he is good at. When he scores his goals they are always very important." Reading's fate had long been sealed and they finished the season in 19th place. However Royals boss Nigel Adkins maintains there are plenty of positives to take ahead of a return to life in the npower Championship. "There is a feel good factor going forward for next season, which is important," said Adkins, who replaced the sacked Brian McDermott in March. "We have changed the way the club has played football - we are looking to be more in control with keeping the football for longer periods of time and that takes time to get everyone ready to go and do that. "Like everybody, we will bring some new recruits in for next season and look forward to next season with a positivity." Adkins - a former goalkeeper himself - also had words of comfort for McCarthy as the 23-year-old prepares to link up with the senior England squad for the first time. "Alex is still a young goalkeeper. It's all a good learning experience," he said. "He just needed to clear the football, didn't he? It was a poor execution and that's life. "The big thing I've noticed with Alex is if he does make a mistake he can quickly forget it, which is important in a goalkeeper. "It's how quickly you can move on and Alex has done that. "He is going to develop into a really good goalkeeper." Andre Villas-Boas’s Tottenham side welcome Sunderland to White Hart Lane today, with the North London side hoping they can secure Champions League qualification, with a little bit of help from Sunderland’s arch rivals – Newcastle United. The two sides have had contrasting seasons, Tottenham Hotspur have been battling for the top four for the majority of the season, while their counterparts have been battling relegation resulting in the Sunderland board finding it necessary to sack Martin O’Neill and appoint former Premier League favourite, Paolo Di Canio, in charge of the Wearside club. The decision to sack O’Neill and appoint Di Canio seems to have been a risk worth taking, with Di Canio’s side recording important wins over Newcastle United and Everton and has kept Sunderland from a possible relegation, to definite survival, after Wigan Athletic lost to Arsenal at the Emirates on Tuesday night. Both teams will look to have a busy summer, Spurs manager Andre Villas-Boas wants a technical director in place for the summer and have already been linked with Barcelona and Spain international, David Villa. Paolo Di Canio will look to imprint his own style and tactics for his new side, and will look to dip his toes in the Transfer Pool. Tottenham Hotspur will miss long time absentees Younes Kaboul, William Gallas and Sandro, but welcome Benoit Assou-Ekotto back to the squad, after missing the Stoke City game last weekend. Sunderland will be without suspended pair Stephane Sessegnon and Craig Gardner. The Black Cats will also be without loan signing Danny Rose, a loan signing from Tottenham to Sunderland makes the young left back ineligible, although frontman Connor Wickham is available after returning as a substitute against the Saints following a month on the sidelines with a calf injury. The Gunners manager says a second-leg triumph over the Champions League finalists gave his squad hope they could once again leapfrog their rivals and close a seven-point gap. Arsenal manager Arsene Wenger admitted he knew his side could destroy Tottenham's European dream the night they beat Champions League finalists Bayern Munich. The Gunners now just need to defeat already-safe Newcastle on Sunday to ensure their qualification to the competition again next season. After losing 2-1 to Spurs in March, Arsenal were seven points adrift of their north London rivals, but since his side beat Bayern Munich 2-0 in their next game, Wenger knew his side could still challenge the top four. "The Bayern Munich away game was important and you could feel, after that, we could do it. That helped," Wenger told reporters. "I never felt this team lacked focus or desire to do well but we lacked confidence for a while. This team suffered for a long time from a lack of confidence because talisman Robin van Persie had been taken away. "We then got some new players in and lost the first big games. Suddenly there was scepticism surrounding the team. You could see that." Despite losing to the German side on aggregate, Wenger claimed he could see improvements in his team that gave him the belief. He continued: "That was the problem and it took a while to find a formula to have a good balance in the team. Since this has been back we’ve been very efficient. "Seven points on Spurs is a big comeback and you cannot say Tottenham have not done well recently, they won their games. We needed not to lose any of ours. "I don’t know how much of a psychological advantage we have over Spurs, what is important is how much effort we put in the game on Sunday. The only advantage we have is our fate depends on our result. "We don’t look at Tottenham. I’m not concerned by that. It’s just, ‘Let us win the game’. What is at stake is a desire to stay at the top. To play top-level European football. "There is a difference between the Champions League and Europa League. The Champions League features the best teams. That’s what we want to do. The financial consequences are big but that is not the most important thing for me. "Of course, we’re on a strong run like the end of last season. We know how to behave to win the game. Recently we’ve shown we can win these games. Let’s just continue to do what we’ve done. "I had the feeling it could go to the last day. I know that, for a long time, for us when we were seven points behind, we’d be happy for it to go to the last game. 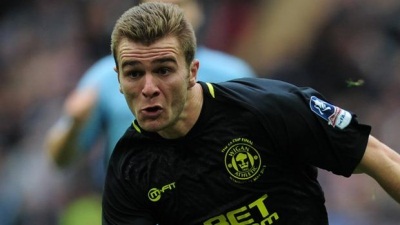 Callum McManaman will miss Wigan's final game of the season against Aston Villa on Sunday after suffering an ankle injury in the 4-1 defeat by Arsenal on Tuesday that condemned the Latics to relegation. Forward McManaman has damaged ankle ligaments and, although he does not need an operation, manager Roberto Martinez expects him to be out for up to three months, meaning he will also miss the European Under-21 Championships in Israel next month. Martinez has concerns over a couple of knocks and niggles while wing-back Jean Beausejour will hope to return from a hamstring problem. Aston Villa will be without suspended striker Christian Benteke for Sunday's final match of the season. The 19-goal forward has a ban to serve following his dismissal for two bookings in last weekend's defeat by Chelsea, possibly handing Darren Bent a rare start. Right-back Matthew Lowton could return following a thigh problem while midfielder Karim El Ahmadi (also thigh) is back in contention, but defender Ciaran Clark (foot) misses out. Wigan: Robles, Boyce, Alcaraz, Scharner, Gomez, Watson, Espinoza, McArthur, McCarthy, Maloney, Kone, Al Habsi, Henriquez, Golobart, Caldwell, Di Santo, Fyvie, Beausejour. Aston Villa: Guzan, Given, Lowton, Vlaar, Lichaj, Stevens, Baker, Bennett, Sylla, Ireland, Gardner, Westwood, Dawkins, N'Zogbia, El Ahmadi, Bannan, Holman, Agbonlahor, Bent, Bowery, Weimann.